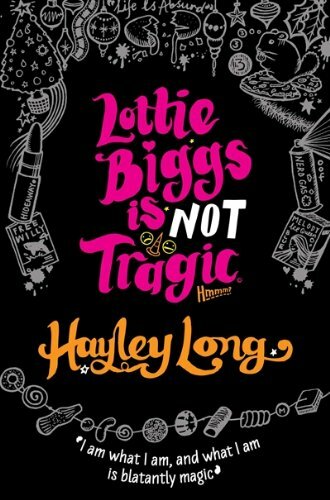 Description (Goodreads):- Just when things were starting to look up for Lottie her life’s gone a bit pear-shaped, wonk-ways and downside up again. Her mum’s all soppy over a bloke with a horrible shemo daughter, her best pal Goose has disappeared in a cloud of nerd-gas and Lottie’s in the midst of an existential crisis. There’s only one thing to do – get the hell out of Cardiff and go on the road with the gorgeous Gareth Stingecombe (and his manly thighs). But things don’t go to plan, and Lottie starts to realise she might have been a bit me me me lately…a female emo, obviously The wit of Louise Rennison meets the depth of Jacqueline Wilson. Review:- I must admit I wasn’t too sure when I first starting reading this book, I do love young adult but thought this was a bit too young for me. Saying that, after a few chapters I started to really love it and Lottie. The way it was written was totally different to anything I’ve read before I felt like I was reading someone’s rant on their blog or diary and I thought all the little drawings were brilliant. I always like to have an idea of what the characters look like but with this I didn’t need to imagine as Lottie drew them all for me including her pet chinchilla Winnie. This is the third instalment in the series but the first one I’ve read and I would have liked to have read the first two, I like reading things in order. Lottie is horrified to find out her Mum has a boyfriend eew. It’s coming up for Christmas and she needs to buy gifts but has no money and she still isn’t sure if she will be going to her Dad’s or not so when her Mum invites her new boyfriend and his shemo daughter to spend Christmas day with them the thought of this all gets too much for Lottie and she decides enough is enough and runs away. Her best friend Goose and rugby playing boyfriend Gareth can’t let her go alone so they all head off together on the bus to her sister’s house who is away at college. This book is really about all the other random important things that happen in Lottie’s life around this event and how she deals with it all by writing everything that happens on her computer, she can be quite insightful at times thanks for her new interest in Philosophy but a little crazy too. I really liked all the other characters in this story and thought Gareth was very sweet and when he was trying to express his feelings for Lottie he would end up saying I Love YouTube or I Love U2, poor Gareth. I thought it was fast paced, witty and very funny and definitely not tragic. This is a fantastic a guest review by my lovely friend Elaine. Disclaimer:- I was sent this book in exchange for an honest review from the publisher, thank you.